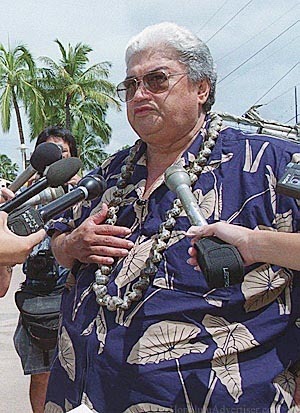 Kahu Charles Kauluwehi Maxwell Sr. is a Hawaiian cultural specialist and member of the state Shark Task Force. In your Nov. 5 Letters to the Editor, Dan Stillman of Boulder, Colo., wanted to know "Why wasn't (the) shark tracked down, killed?" The answer is simple: The ocean is the shark's world, not ours. Studies have shown that whenever a shark attack occurs, the animal does not "hang around" and can be miles away in a short period of time after the attack. Mr. Stillman's remarks are typical of the Western man who wants to eliminate everything that threatens his existence in this world. The shark evolved over 400 million years ago, specifically to eliminate the dead, dying or injured. If a shark looks at an object and it resembles its No. 1 or 2 food source, a turtle or a seal, it will attack. A surfer or body-boarder represents the outline of a seal or turtle from beneath. The attack on Kaua'i's Bethany Hamilton is a tragic accident, but it is exactly that, an accident. Surfers, divers and those who frequent the ocean are fully aware that the danger of shark attacks is a constant risk for ocean users. Many shark attack victims admit they were in the shark's domain and no harm should come to the shark. Our ancient Hawaiian ancestors have deified many animals in the ocean as 'aumakua, "ancestral guardian." Some people still worship the sharks today, but most of us are Christian and respect the gods and goddesses of our ancestors but do not pray to them. It is time that we heed the words of our kupuna to not go into the water when it is rough or murky, be careful when the wiliwili trees are in bloom (usually it's September through December). Sharks come into shallow waters after sunset and before the sun comes up because during the night, the nutrients are stirred up. Also, this is the time of the breeding season, and in some species they are giving birth and are very irritable when this is happening and will attack anything around them. In Hawaiian custom when women had their period, it was a kapu (restricted) for them to enter the ocean. Also, studies have shown urea (urine) and blood attract sharks equally. Maybe it's time everyone apply the teachings of the ancient kupuna, who were in tune with their surroundings.